We don't like empty boxes! Well it’s the beginning of a new year. We consider this to be our “off” season. How do we spend our time in the “off” season? This is the time when we deep clean our space. Everything gets taken off the shelves, wiped down and put back. We make sure that we are organized so that the staff can have things at their fingertips to work efficiently. (Besides – who doesn’t like a clean work area?) This is also the time we take inventory of all of our sugar flowers. 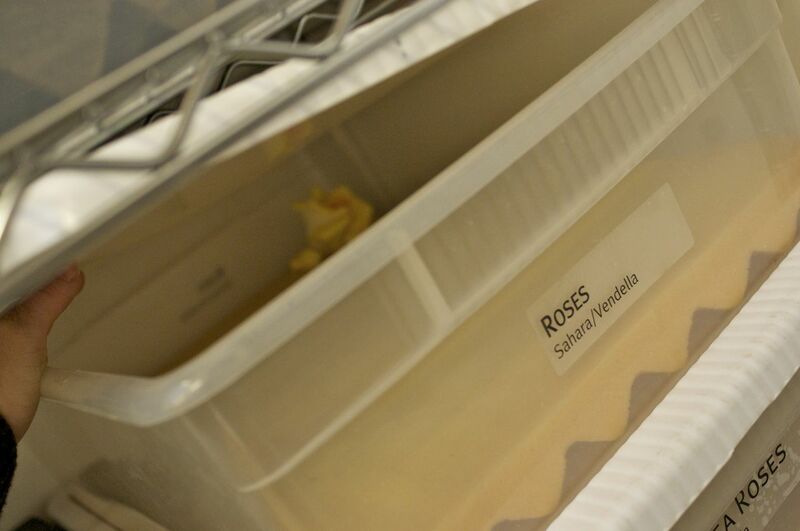 The crew will spend the next few months making sugar flowers to replenish the empty boxes. They have already started, the fourth day of the new year. We don’t waste any time! Robin & Jeffrey making stephanotis.